Without question, there are many components to a successful fundraise. An important factor in mitigating fundraising friction is a keen sense of the profiles of LP’s, their typical preferences, and sensitivities, and then using this knowledge to build a fundraising strategy centered on LP/GP fit. We’ll discuss how to assess LP/GP fit in part two of this series, but in this post, we’ll review the findings of the LP survey in detail. I’m linking the entire presentation here for reference. 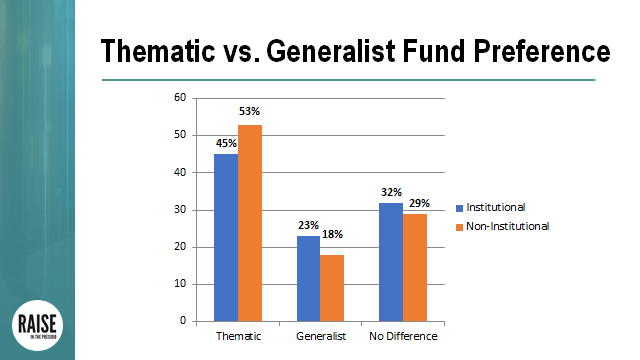 Thematic fund profiles are very clearly preferred as nearly 2x as many institutional LP’s and nearly 3x of non-institutional LP’s indicated they’d prefer investing in a thematic fund (defined as fund that has a (very) specific, and perhaps narrow, investing thesis/model). 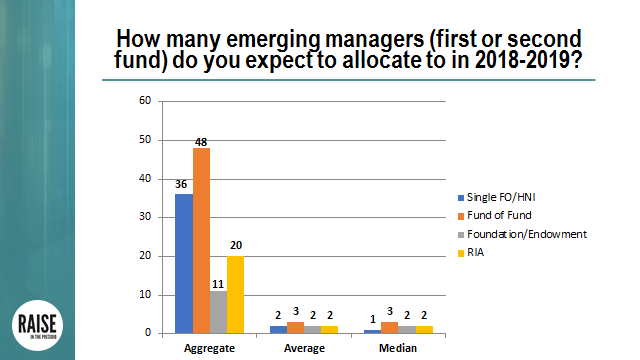 While it is not surprising given the strong push for managers to have some level of tangible differentiation, we have seen LP’s expressed concerns around thematic funds that seem too narrow in scope or manufactured for marketing purposes only. 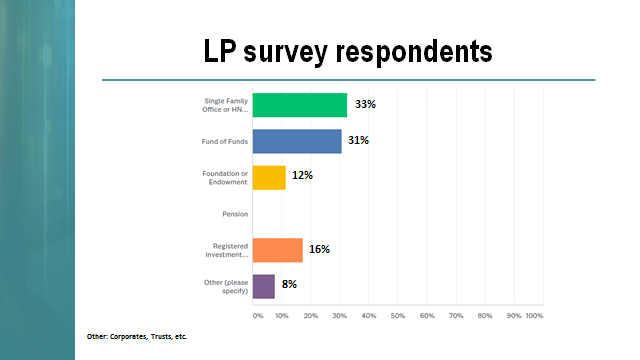 The LP’s we surveyed were generally apathetic about geographical focus of the fund. 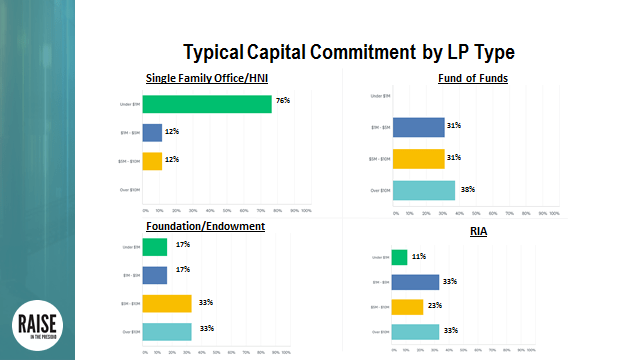 We were a bit surprised to see that such a small minority of LP’s preferred a fund with a specific geographical mandate. Given the valuation bloat that naturally occurs in the Bay Area along with rise of technological hubs across the US, we expected that more LP’s would be actively seeking out managers that had geographically centric themes. 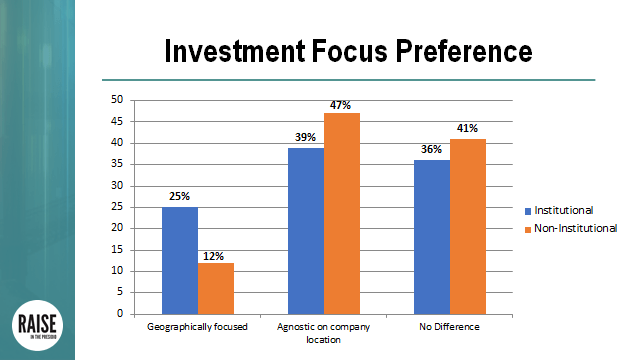 Although thes results may be a bit distressing for managers that have a specific geographic thesis, the results may be construed simply as geographic focus alone isn’t a compelling enough reason to allocate. 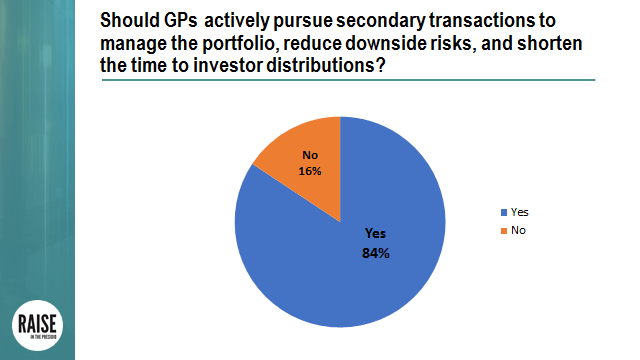 We have seen many LP’s who want exposure internationally and in non-silicon valley US cities, but hold GP’s to the same standard as non-geographically focused funds. 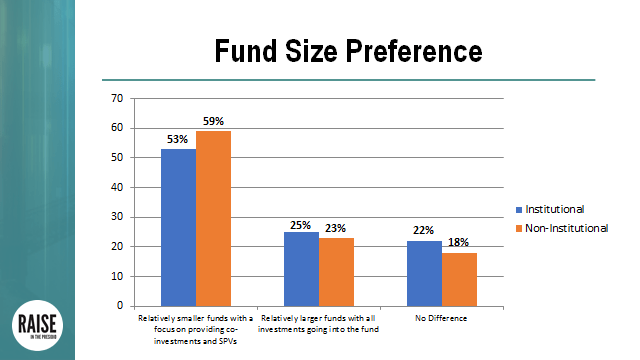 While we realize that every survey has inherent deficiencies, we believe that many of the survey findings should be instructive for those raising funds. In our next post, we’ll cover how best to identify and create GP/LP fit.